March 30th - 4X4 Evolution: Another Online game for the DC, only this time, were taking it off road, straight port of an average PC game, but offers a limitless lifespan due to downloadable tracks from the official web site. March 30th - The Next Tetris: Online Edition: seems that the release date on this slipped, but it'll be here soon. A game for the puzzle-crazy DC owner, me thinks! 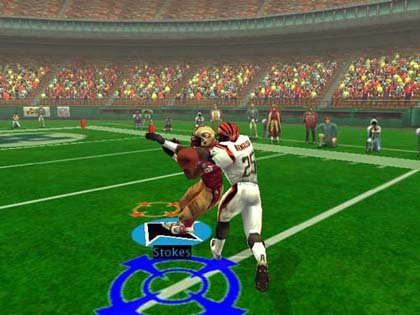 March TBA NFL Blitz 2001: the next incarnation of the American football sim from Midway hits our shores this month. It doesn't have a massive fanbase here, but they just lap these games up in the States!!! March TBA - The first surfing game for DC (and if this is anything to go by, hopefully it's also the last!) Still at least it's better than the god awful H30 on PS2! April 13th - Rouge Spear: with Rainbow Six having only been released, it may be wise to wait. NO! Don't be tempted to but Rainbow Six! I know you want squad-based goodness, but trust me... you are better off waiting for the follow up to be released. Its miles better! April 13th - NBA Hoopz: yay! Another cool basketball game to add to your collection. Fantastic! 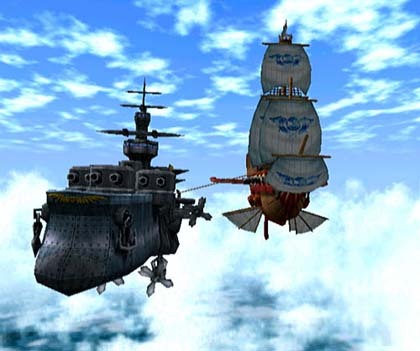 April 13th - Skies of Arcadia: Its what we have been crying out for for over a year. A fantastic RPG that rivals even Final Fantasy to call our own! Well, the wait is almost over folks! 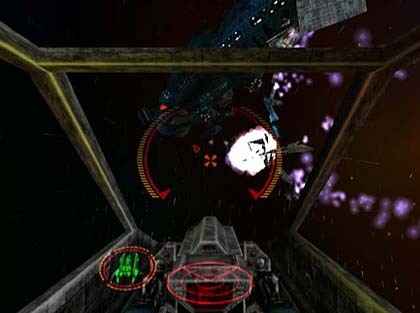 Here comes what could be the Dreamcast's finest RPG. Get ready to cancel all your plans... for the rest of the year!!! April 20th - 18 Wheeler: American Pro Trucker: from the creative minds behind Crazy Taxi, comes a mad racing game that could be just as good as CT! An original concept for sure! Will it be a great game though? Wait and see! April 20th - Giant Killers: it may well sound like a game about a guy called David who fights a huge guy named Goliath, but surprisingly it's a football management game. It’s the first and probably the only one for Dreamcast. So you’ll be pleased to know it’s shaping up to be a good one! April 27th - Heroes of Might and Magic 3: hmmm... looks interesting. A PC port of the third in a series of decent turn based strategy/RPG’s. May be too “geeky” for the more casual amongst you though! April 27th - Stupid Invaders: well, this looks like a great game! Great graphics, a sense of humour... what else do you want? Oh, yes... gameplay! Well, it'll have plenty of that too! A point and click adventure in the PC style! Wicked!!! April 27th - Dragon Riders: Chronicles of Pern: one I'm particularly looking forward too! An adventure RPG in the style of Zelda set in a fantastic world, with a great history (thanks to Anne McCaffrey - author of the books the game is based on... and sticks close to) and an awesome storyline. April TBA - Carrier: another survival horror game that’s looking the biz! Hopefully its not going to be another clone of the Resident Evil series... we need something original (not that I don't like RE, but I would like to see a survival horror game that doesn't stick too closely to the RE format)! April TBA - Peacemakers - Conflict Zone: erm... don't ask me! I just know that a game by this title is out in April sometime! We'll just hafta see what it is, exactly, when it comes out! April TBA - Unreal Tournament: the best console version! 4-player split screen... 8-player Internet play... amazing graphics...HURRAH!!! For those who ain’t “in the know” UT is a Quake 3 style Arena Death match FPS, and from what’s been seen so far, it kills it in everyway! Come in Quake, your time is up! April TBA - Viva Rock Vegas: a game based on the latest Flintstones film, by any chance? Well, yes! It may be alright... but looking at other games based on films, it may be a pile of pooh! The fact that very little has been said about this title isn’t exactly encouraging!